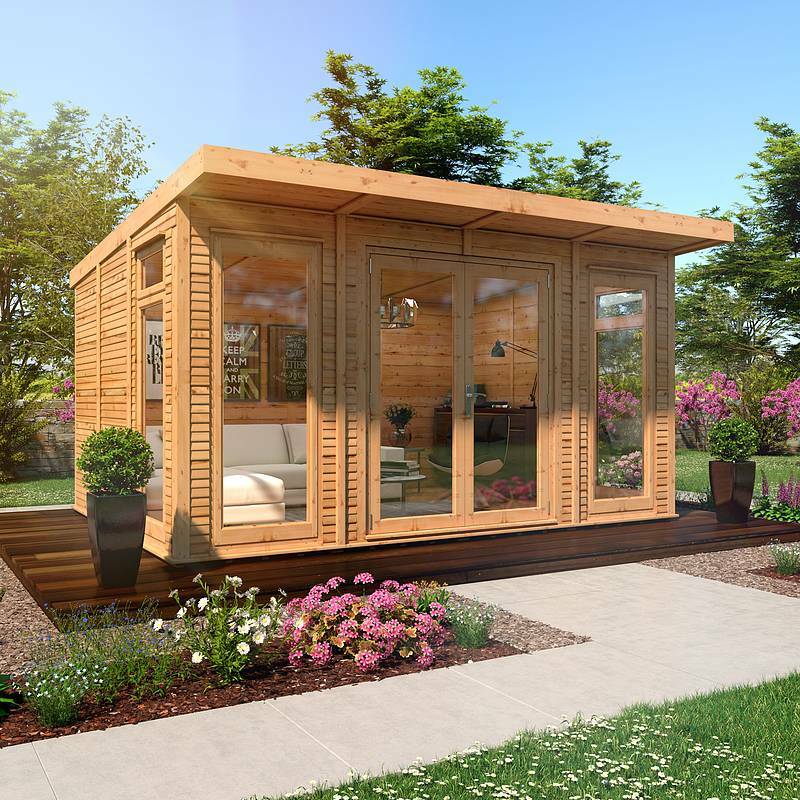 Our spacious 6m wide insulated garden rooms are perfect for home offices or additional living space. High quality materials and insulation in the walls, roof and floor help keep your garden room weatherproof and cosy all year round. Customise your garden room to suit your needs and garden layout, by choosing where you want the walls, doors and windows to be. All installed by our expert fitting team at no extra charge and with a 10 year anti rot guarantee, you can be sure our premium garden rooms will last for years to come. "Excellent. Great cabin. The installation team superb." Perplexed by insulated garden rooms? If you want to make a fully informed decision before taking a look at our insulated garden rooms, our informative guide is here to give you a helping hand. Give yourself masses of extra space in the garden - a whole new room! Whether it's a home office, a home gym, creative studio or relaxation space, there's a Waltons building to fit your needs. Choose your size, customise where your doors and windows are, and plan how you'll use the extra room in your home. Double glazed, fully insulated and adaptable to your own requirements - you decide where doors and windows go (and even how many doors and windows you have). Your garden building is delivered and installed in your garden free of charge, leaving you with time to think about how you want to use your new space. All of our garden rooms have a high-quality, contemporary finish, giving you a building that's practical and easily decorated to your own taste and style. Planning permission isn't usually necessary with these buildings as they're under 2.5 metres, but it's always worth checking with your local planning department just in case there are special restrictions in your area.